Previous post on this topic: Upgrading CERN CMS pixel detector for future discoveries. This spring radiation detector provider Advacam, has produced 20 qualified pre-series pixel modules for the year 2018 CMS hardware update. Processing of the modules, carried out in a 2600 m2 class-10 clean room, consists of several steps such as thin metal film PVD, lithography steps, electrochemical metal growth, etching, silicon wafer thinning, dicing and flip chip bonding. 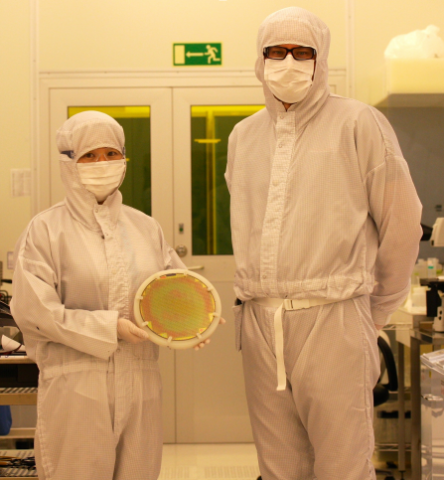 The electrical characterization of the pixel sensors and the readout electronic chips is done on a wafer level. The processed and diced pixel sensors are re-tested. The qualified sensors and the readout chips are selected to the flip chip bonding process. The acceptance test of the flip chip bonded modules is carried out. First successfully produced pre-series modules have revealed less than 0.05% bad interconnections. See also: LHC experiments are back in business at a new record energy.